As a component of getting back into the swing of things here in Glasgow, I have been revisiting old (and not so old) cases of Latin American looting, theft, and dubious antiquities-related things. As I slowly circle, preparing to descend upon the Sipán behemoth, I’ve taken small bites out of other Peruvian cases. 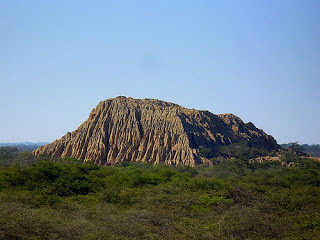 In doing so I have had the joy of revisiting some of the world of certain “early” South American archaeologists. For better or for worse, I love the work of that period: it is so fresh (and innocent?) and the images from the time period have occupied hours of my life. I just keep clicking through and imagining. While working a bit on the intensive looting of the site of Batán Grande, I have had the pleasure of revisiting the work (and the imagery) of Julio C. Tello. 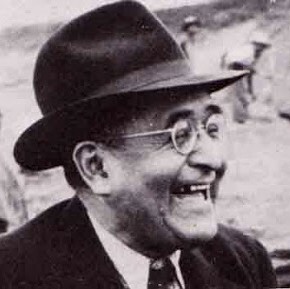 In a series of reports published in Lima’s El Comercio newspaper in the 1930s, Tello actually documented looting damage at Batán Grande alongside the results of his archaeological work. Word is that the family that owned the Batán Grande land would not let him poke around there but he was able to conduct excavations on the edges. Intervention in the looting at the time was not an option: law or not, Peru’s landowning families held all the cards at the time and could pretty much do what they pleased. This changed at Batán Grande during Peru’s agrarian reform in the 1970s. The land was turned over to the campesiños who once worked for the original owners…and, as you can imagine, they looted the place too. That plus flash flooding and the entire river changing its course in the 1980s hasn’t boded well for the site. Those Peruvian objects in your nearest ubermusem? They probably came from Batán Grande. But how about Tello. He is who I am thinking about today. Born in 1880 into a Quechua speaking family, our man Tello would probably be considered Indigenous today. He called himself a “mountain Indian” which is so wonderfully badass in the mestizoizing climate of the day. 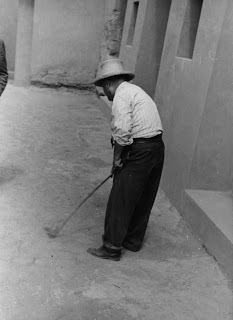 His smarts got him out of the village, into University where he got a degree in medicine, and off to Harvard where he got a masters in anthropology in 1911 and eventually just, you know, founded internal (and external) Peruvian archaeology. To nerd out a bit, Tello was the first person to conduct stratigraphic excavation in Peru. The Mesoamerica version of this event is something I wrote about for an ever-upcoming monograph that should be put out by the British Academy…sometime. In Mesoamerica the first scientific aka. stratigraphic excavator seems to have been Raymond Merwin at the site of Holmul in Guatemala. Yours truly re-excavated a few of his pits there back in 2003, too young to realise what I was doing. Anyhow, as that upcoming paper argues, stratigraphic excavation is now seen and felt as the dawning of a new era of archaeology as science. Once it appears on the scene, we enter the era of “real” archaeology, at least in the minds of modern archaeologists. When we talk about issues of looting and loss of context, it is this very method of stratigraphic excavation that we have lost and all the information that comes with it. We have lost what makes archaeology archaeological. Stratigraphic excavation is definitional and Julio C. Tello is who brought it to Peru. this is Tello “diagramming his ideas” I think at Pachacamac. Of course it is debatable if both Merwin and Tello were really the first in their respective geographic areas, but not really THAT debatable. No matter what, Tello’s work at Paracas rules…and dare I say that the Paracas textiles that you and I can picture that ARE NOT looted probably were excavated by him. Three cheers for context! Three cheers for Peruvian scholars! Three cheers for this blog post which was entirely a vehicle for me to post snazzy period photos of Julio Tello. I should buy that biography of him that is kicking about.